July 2008 was a very busy time for Apple. It launched the iOS App Store, replaced .Mac with MobileMe and launched it second-ever iPhone: the iPhone 3G. Introduced at WWDC 2008, the iPhone 3G came into the world after a year of success with the first iPhone. Most high-tech companies don't take design seriously. They treat it as an afterthought. Window-dressing. But one of Jobs' basic insights about technology is that good design is actually as important as good technology. All the cool features in the world won't do you any good unless you can figure out how to use said features, and feel smart and attractive while doing it. An example: look at what happens when you put the iPhone into "airplane" mode (i.e., no cell service, WiFi, etc.). A tiny little orange airplane zooms into the menu bar! Cute, you might say. But cute little touches like that are part of what makes the iPhone usable in a world of useless gadgets. It speaks your language. In the world of technology, surface really is depth. "You can't even begin to figure out how to use 10 features on a normal phone," Jobs joked to applause and laughter. The raw numbers — while tiny today — were a big deal then. Apple sold 6 million original iPhones in the 11 or so months it was on sale. Of course, the original iPhone wasn't perfect. It was the first generation of a wildly-new product category. Apple had some things to address with its second iPhone. The biggest feature of the iPhone 3G is right in the name. The original iPhone featured EDGE networking, which was slow, even by 2007 standards. 3G promised much faster speeds when away from Wi-Fi. In his demos, Jobs boasted that 3G networking was 2-3x faster than EDGE, all of it with best-in-class battery life. In addition to 3G, this iPhone brought GPS to the device for the first time, making apps like Google Maps much more useful. 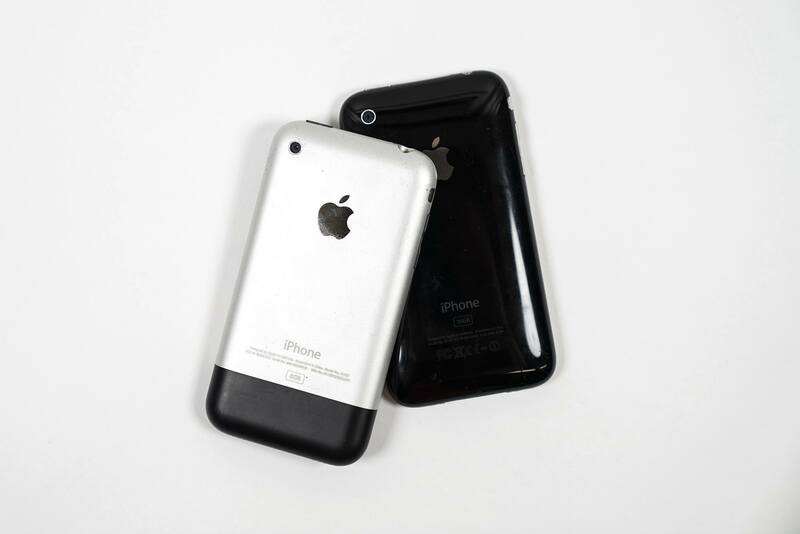 The iPhone 3G didn't stray far from the original design of the iPhone. It featured the same 3.5-inch screen, and included the same buttons and ports as before. Those buttons were now metal, feeling much more premium than the plastic ones Apple had used their year before. 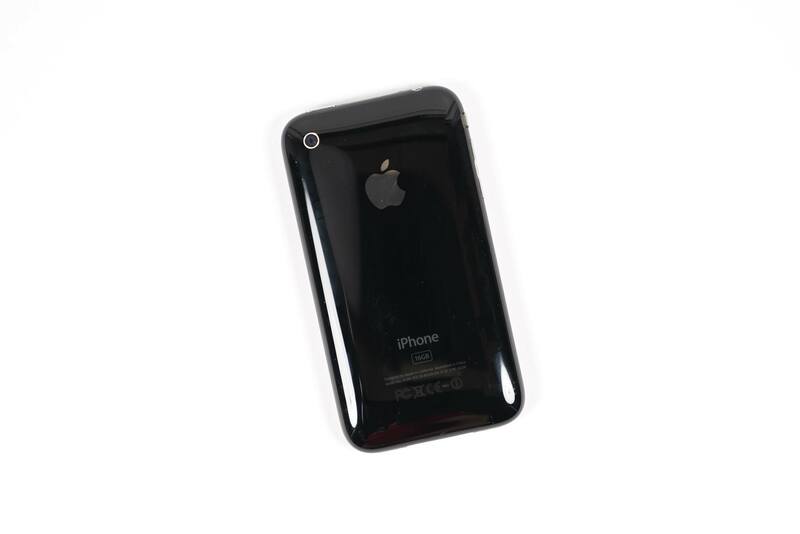 The back case was now all-plastic, giving the iPhone 3G a grippy feel compared to the aluminum on the outgoing model. Of course, this greatly aided in networking performance as plastic is radio transparent. 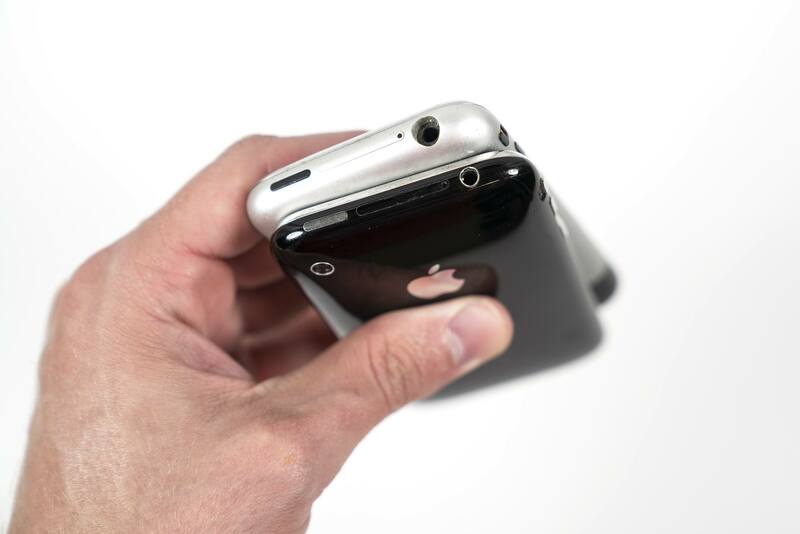 The rear edges sloped more aggressively toward the screen, making the iPhone 3G feel thinner in the hand, despite being slightly thicker than the original. The biggest cheer regarding the design came in regards to the headphone jack. The original iPhone's headphone jack was recessed into the body, requiring an adaptor to use anything other than Apple's headphones with it. With the iPhone 3G, that jack was mounted flush on the edge of the phone. In its market research with consumers who did not buy iPhones, Apple found that 56% of those asked said they didn't purchase one because the price was too high. Apple addressed this head-on. The 8 GB model was just $199 on contract, compared to the $399 the 8GB iPhone cost. The 2007 iPhone was sold in just six countries: the United States, United Kingdom, France, Germany, Portugal, the Republic of Ireland, and Austria. However, the device was in use in many more, according to Apple. With the iPhone 3G, the company focused on a more international rollout. 22 countries were included at launch, with a total of 70 included by the end of the year. The iPhone 3G sold very well. The company sold 1 million of them in the first weekend. “It took 74 days to sell the first one million original iPhones, so the new iPhone 3G is clearly off to a great start around the world," said Steve Jobs in the company's press release. Apple would go on to sell an estimated 15 million iPhone 3Gs, over twice the number of the original iPhone.